Chris Peters of Halifax took this photo of an American Tree Sparrow at Grand Pre, King’s County, December 28. I am re-posting it here with his permission. Clicking the image will bring up a larger copy. 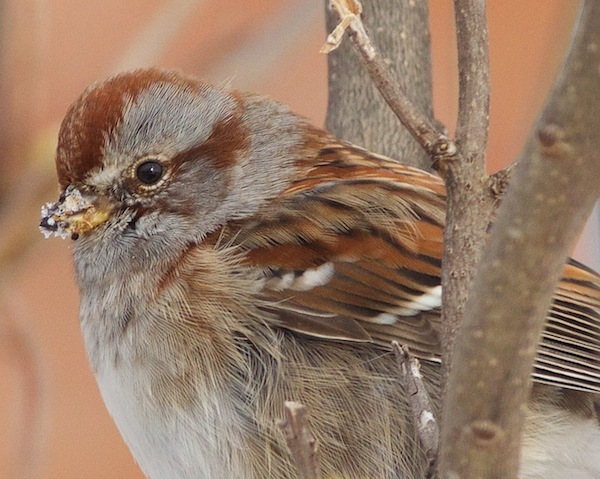 The seed-eating American Tree Sparrow nests on the tundra from Alaska to Labrador, and winters throughout the continental US, the southern fringes of the prairie provinces and Quebec, and in the southern Maritimes. It’s considered common in Nova Scotia in winter. American Tree Sparrows need to take in about 30 percent of their body weight in food and a similar percentage in water each day. A full day’s fasting is usually a death sentence. Their body temperature drops and they lose nearly a fifth of their weight in that short time. In winter snows, they accomplish this feat by beating their wings to dislodge seeds from grass heads, or by visiting your feeder. The Nova Scotia Bird Society’s Facebook page serves up a continual stream of gorgeous photographs of birds native to or passing through Nova Scotia. 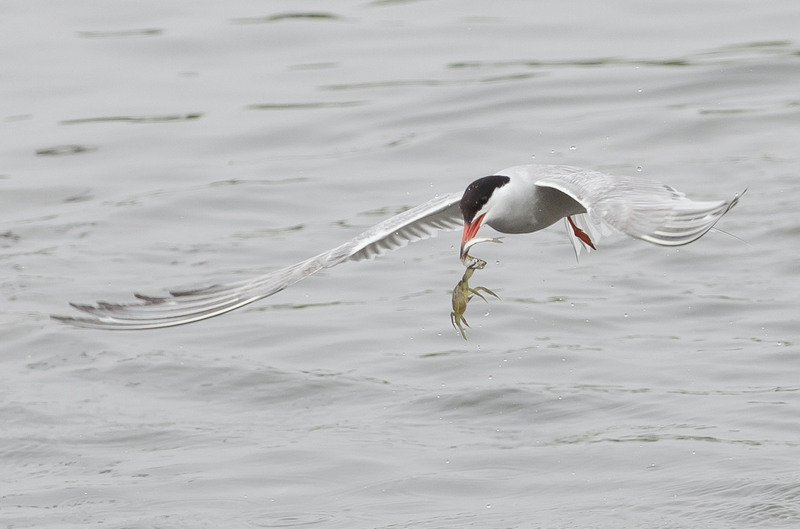 The province is home to many wonderful birds, and many outstanding photographers; the two make a happy combination. I have re-posted a few images from the site before, and with the permission of selected photographers, I hope to do so more frequently. I like Chris’s images because he doesn’t focus solely on charismatic or rare birds, but often posts striking photos of birds we might see, but perhaps overlook, any day.